Citation: Okpalauwaekwe U, Mela M, Oji C. Knowledge of and Attitude to Mental Illnesses in Nigeria: A Scoping Review. Integr J Glob Health. 2017, 1:1. Background: Many Nigerians have misconceptions and misbeliefs about mental illness, hence stigmatize people with mental illness. This scoping review on the knowledge of and attitude towards mental illness among Nigerians aims to identify the extent of literature on the issue, summarize current reports and identify research gaps in hopes to proffer workable solutions to this problem. Methods: A scoping review was designed to identify peer-reviewed articles only. Key search terms with synonyms were pre-developed and mapped on six bibliographic databases; Medline/Pubmed, Scopus, Web of knowledge, Embase, PsycINFO, and PsychARTICLES. No grey literature searches and no time line restrictions were observed. Results: Twenty five articles met the eligibility criteria and were selected for scoping out of a total of 2079 identified articles (2063 from the library databases and 16 from hand searching of article citations). Most studies were qualitative (23/25;95%) and some mixed (2/25; 8%). Study designs observed in the scoping articles were cross-sectional studies (24/25; 96%) and community-based research (1/25; 4%). Most common knowledge of causes of mental illness observed in scoping articles was supernatural causes (magic, witchcrafts, sorcery, and divine punishments). Social distance was the most common attitude expressed in articles scoped and traditional (unorthodox) medicine was a treatment preference in reference to health seeking behaviours. Conclusion: In a country like Nigeria, where poor mental health facilities, poor health outcomes, health inequalities and disparities exist, the need for mental health literacy, and workable health policies are vital. These will significantly reduce stigma and increase health seeking behavior of the mentally ill.
Understanding mental illness in Nigeria is something that has to be taken contextually and historically. There is a large misconception and misinformation on the context of the subject amongst Nigerians. The general belief is that preternatural or supernatural forces, witches, evil spirits and even God cause mental illness [1-7]. These beliefs have influenced the attitude of Nigerians towards the mentally ill. Historically, people with mental illnesses were burned, hanged, mutilated, abandoned and restrained with chains, all in the bid to save their souls, or bring redemption to their families and curb the iniquities causing mental illness within the families [1,7]. These beliefs on the etiology of mental illness shape attitudes and have been shown to have a huge impact on the acceptance of the mentally ill amongst Nigerians . Research has linked negative societal attitude with the behaviour of the mentally ill, rather than the cause of these mental illnesses [1,8,9]. Thus, mentally ill persons are frequently referred to as dangerous, suspicious, unstable, unreliable, irresponsible, and homicidal . These labels on the mental behaviour of the mentally ill have aggravated stereotypes and provoked further prejudices on people with mental illnesses . The impact of the stigmatizing attitude and poor knowledge of mental illness among Nigerians have shown to be a major hurdle to improving mental health in Nigeria. Current evidence points to the paucity of basic knowledge about mental illness, its causes and characteristics. This in turn affects the needed priorities on what services or facilities are required to manage them. Conversely, there is a growing evidence that changing the perception of Nigerians to mental illness will result in a better and more improved mental health care within the country . This scoping review was designed in a bid to evaluate the level of peer-reviewed literature and information on the knowledge of, perceptions and attitude of Nigerians towards mental illness. The results summarize the views of Nigerians on mental health issues, challenges, existing gaps in literature and possible interventions that could help unravel this issue. It is hoped that this review will instigate feasible and practical interventions, raise policies and health education programs that will improve mental health literacy among Nigerians. The review methodology helped provide flexibility for synthesis of a variety of study designs and article types [11,12]. Although presented in steps, the process was not linear as some steps were repeated to ensure a comprehensive assessment of the study. Research questions used in scoping studies are initially broad as the focus is to summarize the breadth of evidence by linking a clear purpose to a well-defined set of literature . The primary question that guided this scoping review was: What are the knowledge of and attitude towards mental disease among residents in Nigeria? This stage involved identifying relevant studies by developing a search strategy, keywords, search sources, time span and language filters [11,12]. With the involvement of the Saskatchewan College of Medicine librarian, a broad search strategy was designed using the following keyword combinations and their synonyms: ‘Knowledge’, ‘Attitude’, ‘Mental illness’ and ‘Nigeria’ (Table 1). Six electronic bibliographic databases (Web of Knowledge, PUBMED/ MEDLINE, EMBASE, Scopus, PsycINFO, and PsychARTICLES) were searched using a syntax composed of all identified keywords and their synonyms. Table 1 also provides the search strings and queries used in identifying relevant articles for the review. The initial article search was commenced on April 17, 2016 and completed on May 28, 2016. A second search was carried out from June 09 to June 10, 2016 using all identified electronic bibliographic. Thirty (30) articles were retrieved randomly based on title and abstract screening, and their references searched to avoid missing relevant articles. Hand searching of articles cited in full text articles retrieved, were completed (the snowball phenomenon). To ensure completeness, a third search was carried out from July 18 to July 20 2016 using same syntax and bibliographic databases. No grey literature was used or retrieved in this study. Table 1: Keywords (with synonyms) and search strings used for literature search. Citation management: All citations were imported or manually entered using the reference managers Endnote X7 and Mendeley Desktop 13.8. Associated full text articles were thereafter added to citations for further reviewing. Duplicates were removed manually after assembling citations. At this stage, the search strategy was refined based on title and/or abstracts retrieved for the initial search results. This was achieved by applying a pre-developed eligibility criteria and selection process. 3. Review articles that assessed a combination of any of the keywords; knowledge (or its synonyms), attitude (or synonyms), Mental illness (or its synonyms) and Nigeria. No timeline restrictions were placed. All articles that failed to fall within these criteria were excluded. Selection process: A two-stage selection process was used to assess the relevance of articles identified from the search. After deduplication and application of the inclusion criteria, all identified articles were manually screened for relevance by checking their titles and abstracts for identified keywords. Full text articles (FTAs) were retrieved at this stage, if they had at least one or more identified keyword combinations. The second level screening process involved reading the full text articles retrieved from the first stage to ensure selected articles reflect an answer to the research question . Thus, several iterations of stages 1 to 3 occurred. The selection process was carried out by two reviewers and a reviewer agreement score calculated. The overall kappa was 0.91, which represents a high level of agreement. • Limitations to study (Table 2). (South-eastern Nigeria) Responses were similar in the two groups, however there showed to be a widespread negative attitude to mental illness among journalist (70%) than nurses (60%). Common opinions given on knowledge and causes of mental health by journalists (79.5%) and nurses (59.1%) included; black magic, evil powers, witchcrafts, God’s punishment to sin. A majority of the journalists (97%) and nurses (89%) believed mentally ill people to be dangerous, violent and should not be married. Limitations of generalization and poor sample size. (South-western Nigeria) This study aimed to assess the effect of an educational program on the attitude towards mental illness among volunteers in a rural community setting. At the end of the intervention, perceived dangerousness was significantly reduced and social distance towards people with mental health showed significant improvement. Limited by the small, non-randomized sample and lack of a control group. Nature of intervention and positive outcomes poses a strength for the study. Abiodun  Knowledge and attitude concerning mental health of primary health care workers in Nigeria. Cross-sectional prospective study. Recruited 240 primary health care workers from the community. Response rate was 86% (207). Primary data. Irepodun local government area of Kwara state, Nigeria. (West-central Nigeria) The study was designed to examine the knowledge, attitude to, detection, and treatment of mental disorders by primary health workers without prior exposure to mental health training. 72% of them expressed a negative attitude towards mentally ill patients. Not mentioned. Adebiyiet al. Enacted and implied stigma for dementia in a community in south-west Nigeria. Study was a mixed method community based cross-sectional study. 313 participants were selected using cluster sampling methods. Quantitative data was collected using interviewer administered questionnaires, while qualitative data was collected through focus group discussions across six groups with eight participants each. Primary data. Lalupon in Lagelu local government area of Oyo state, Nigeria. (South-western Nigeria) Qualitative data showed the existence of enacted stigma in the community with the term ‘madman’ used to describe people with dementia. Quantitative data showed only 68% of respondents were aware of the term dementia with described aliases such as ‘memory loss disease’, ‘disease of forgetfulness’, ‘ageing disease’, ‘disease of insanity’ and ‘brain disorder’ used to label the disease. Enacted stigma was manifested in 36% of respondent while implied stigma was evident in 33%. A likelihood of social desirability bias and social hierarchy bias. Adebowale and Ogulesi  Beliefs and knowledge about aetiology of mental illness among Nigerian psychiatric patients and their relatives. A quantitative cross-sectional study which enrolled a total of 140 participants. 70 were out-patients who had been diagnosed with either, schizophrenia, mania, od bipolar affective disorder, not acutely ill or having any symptoms of mental disorder at the period of assessment. Another 70 were relatives of psychiatric patients. Response rate was 100%. Primary data used. Aro Neuropsychiatric hospital, Abeokuta, Ogun State, Nigeria. (South-western Nigeria) Data was compared between both groups based on pre-identified indices to assess the knowledge and beliefs of both groups on the causal factors of psychiatric illness. 17% of patients and relatives respectively gave medical causal explanations; 23% of patients and 19% of relatives gave psychosocial causal explanations. The most acceptable causal explanation for both patients and relatives was supernatural explanation, while the least was psychosocial. The study was limited by the method of assessment of causal beliefs which may have elicited delusional and socially desirable responses. Adeosun et al. Experiences of discrimination by people with schizophrenia in Lagos, Nigeria. Mixed methods cross-sectional descriptive study. Recruited 150 out-patients with schizophrenia who were interviewed with the Discrimination and Stigma Scale (DISC 12). Response rate was 87%. Primary data used. Federal neuro-psychiatric hospital, Yaba, Lagos state, Nigeria. (South-west Nigeria) Results showed that 87% of respondents have been discriminated and avoided by people who found out they had schizophrenia. 71% experienced unfair treatment from family members, 63% from friends, 32% from society, 29% from intimate relationships, and 39%in personal safety. Over-representation of educated participants and hospital-based study, limiting generalization of findings. Adewuya and Makanjuola  Social distance towards people with mental illness amongst Nigerian university students. Quantitative cross-sectional study. Primary data produced. Recruited 1,668 students from a Nigerian federal university and used a modified version of Bogardus Social Distance Scale to assess the desire for social distance towards people with mental illness. Response rate was 100%. Obafemi Awolowo University, Ile-ife, Osun state, Nigeria. (South-western Nigeria) Results showed 65% of students had high social distance towards mentally ill people. Results also revealed that social distances increased with the level of intimacy required in the relationship which was higher than with students in the western universities. Study strengths noted included: large sample size. Adewuya and Makanjuola  Social distance towards people with mental illness in southwestern Nigeria. Quantitative cross-sectional survey. Primary data. Selected 2342 respondents from 3 different communities being urban, semi-urban and rural. Response rate was 88%. Osun state, Nigeria. Adewuya and Makanjuola  Lay beliefs regarding causes of mental illness in Nigeria: Pattern and correlates. Quantitative cross-sectional study. Primary data. Selected 2342 respondents from 3 different communities being urban, semi-urban and rural. Response rate was 88%. Osun state, Nigeria. (South-western Nigeria) Results showed beliefs in supernatural factors and the misuse of psychoactive substances to be the most prevalent factors. Urban settlement, higher education, and knowledge of mental illness correlated with belief in biological and psychosocial causation. Rural settlement, older age and lack of knowledge of mental illness correlated with belief in supernatural causation. Educational status had no effect on belief in supernatural causation Cultural differences may affect beliefs, and study generalization. The strengths however lied in the large sample size, study being community-based and from a culture not well studied. Adewuya and Oguntade  Doctors' attitude towards people with mental illness in Western Nigeria. Cross-sectional study, quantitative, primary data. Randomly recruited 350 medical doctors from eight selected health institutions in three states in Nigeria. Had doctors completed a questionnaire on the knowledge and attitude towards patients with mental illness. Response rate, 89%. Ekiti, Ondo and Osun states in South-western Nigeria. Results reported 64% of medical doctors showed high social distance. Belief in supernatural causes were more prevalent and perceived dangerousness was also high among respondents Cultural differences from south-western ethnicity may affect generalization. Focus on the general term ‘mental illness’ may have created biased responses. Aghukwa  Medical students' beliefs and attitude toward mental illness: Effects of a psychiatric education. Prospective cross-sectional study involving 35 final-year medical students of a Nigerian federal university. Students were involved in a 4-week psychiatry rotation. Primary data was collected pre- and post-clerkship. Response rate was 100% Department of Psychiatry, Amino Kano Teaching Hospital, Bayero University, Kano state, Nigeria. (North-Western Nigeria) The study was designed to assess the impact of a 4-week psychiatric rotation on the beliefs and attitude of final-year medical students towards medical illness. Results revealed that students had limited knowledge of psychiatric disorders. A high proportion believed in supernatural factors as causes of mental illness pre-clerkship. There were significant changes in the knowledge and beliefs about mental illness post-clerkship. Small sample size, and from only one medical school limits generalization. Aghukwa  Secondary school teachers' attitude to mental illness in Ogun State, Nigeria. Study was prospective cross-sectional with a total sample size of 358, randomly selected across 20 schools in the local government area. Primary data was collected from the teachers who participated using self-administered structured questionnaires. Response rate was 90.8%. Abeokuta South Local Government Area, Ogun State, Nigeria. (South-western Nigeria) The study was designed to determine the attitude of high school teachers to mental illness. Results showed that about 75% expressed negative attitude towards mentally ill persons.50% expressed perceived dangerousness towards the mentally ill. 80% of respondents expressed disapproval for mentally ill persons holding sensitive job positions Lacks a control group to validate findings. Social desirability bias may have played in being that respondents were well enlightened. Aghukwa  Attitude towards psychiatry of undergraduate medical students at Bayero University, Nigeria. Study was a comparative and prospective cross-sectional research involving 119 fifth (84) and final year (35) medical students in a federal Nigerian university. Primary data was collected using adapted self-administered questionnaires and tested for association between the final year and 5th-year medical students’ responses. Response rate was 76%. Amino Kano Teaching Hospital, Bayero University, Kano state, Nigeria. (North-Western Nigeria) The study aimed to compare responses of 5th-and 6th(final)-year medical students on attitude to psychiatry as a profession as well as evaluate the beliefs about psychiatry and mental ill persons. Results showed less than 2% of students considered psychiatry as first choice, more than 50% expressed social distance towards mentally ill patients, and poor remunerations associated with the profession. Attitude between the two groups were not statistically significant (p>0.05). Small sample size and poor response rate may have limited generalization. Akighir  Traditional and modern psychiatry: a survey of opinions and beliefs amongst people in plateau state, Nigeria Cross-sectional quantitative study. 80 respondents (rural and urban) interviewed. 100% response rate Jos, Plateau state, Nigeria. (North-central Nigeria) Results suggest negative attitude towards modern psychiatry with traditional healers considered more favorable. Mystical causes blamed for mental illnesses. Not mentioned in article. Gureje et al. Community study of knowledge of and attitude to mental illness in Nigeria. Quantitative study type with cross-sectional survey design. Samples were selected using a multi-staged cluster sampling method. Respondents were picked from three states in the western part of Nigeria (22% of the Nigerian population). Total sample size, 2040, response rate 74.2%. Ogun, Oyo and Osun states in Nigeria. (Western Nigeria) Study tried to determine the knowledge and attitude of clustered communities in Nigeria. Results showed a poor understanding of causation of mental illness with negative views about them. Perceived dangerousness was prevalent. Social distance and marriage stigma were also noted from the surveys. Study did not determine he attitude to people with different mental disorders. Kabir et al. Perception and beliefs about mental illness among adults in Karfi village, northern Nigeria A cross-sectional descriptive study involving 250 adults randomly selected using a multi-stage technique. Quantitative primary data was collected using a pre-tested, semi-structured questionnaire. Response rate was 100% Karfi Village, Kano state, Nigeria. (Northern Nigeria) The study was designed to assess the knowledge, attitude and beliefs about causes, manifestations and treatment of mental illness. Results revealed 50% had negative feelings towards the mentally ill. Also, the most common cause of mental illness was substance abuse and alcohol, then supernatural powers and magic. 46% preferred orthodox methods of treatment. Not mentioned in article. Odejide and Olatawura  A survey of community attitude to the concept and treatment of mental illness in Ibadan, Nigeria A cross-sectional study examining the attitudes to mental illness using four different communities totalling about 638 subjects. Primary data was collected. a)Akufo village, Ibadan, Oyo State, b)Ministry of Agriculture, Ibadan, Oyo state, Nurses and Doctors in c) Adeoyo General Hospital, Ibadan, Oyo state and d) Aro Neuropsychiatric Hospital, Abeokuta. The subjects with formal education expressed less negative attitude to mental illness than the people with no formal education. Psychiatric trained nurses and doctors expressed more positive feelings towards mental illness than non-psychiatric trained registered nurses. Not mentioned in article. Ogunlesi and Adelekan Nigerian Primary Health Care workers: a pilot survey on attitude to mental health. A pilot study involving 31 primary health care (PHC) respondents. Quantitative primary data collected using structured questionnaires Ogun state, Nigeria. (South-western Nigeria) Results showed that the general awareness about mental health principles was low among studied PHC workers. 9 out of every 10 believed that mental illness had preternatural basis and preferred traditional treatment to orthodox treatment for mental health issues. Not mentioned in article. Ogunsemi et al. Stigmatising attitude of medical students towards a psychiatry label Comparative cross-sectional descriptive research. 167 final-year medical students from a Nigerian federal university were recruited. Randomly divided into a control and intervention group. Intervention group received a case description with a psychiatric label attached while control group was without. Primary data collected. Response rate was 86.2% Olabisi Olabanjo University Teaching Hospital, Sagamu, Ogun state, Nigeria. Olade Attitude towards mental illness: a comparison of post-basic nursing students with science students. Journal of advanced nursing Cross-sectional comparative study using 52 students (37 registered nursing students (intervention group) and 15 science students (control group)). Responses were collected using the Opinion on Mental Illness (OMI) scale on attitude towards mental illness. 100% response rate. Department of nursing, University of Ibadan, Oyo State, Nigeria. (South-west Nigeria) The nurses showed favorable attitude towards mental illness by scoring higher than science students in factors C (interpersonal etiology) and E (mental hygiene ideology) of the OMI scale. However, they scored lower in factors A (Authoritarianism), B(benevolence) and D (Social restrictiveness). Positive correlation was noted between factors A and D, and between factors A, D and B. Not mentioned in article. Olade  Attitude towards mental illness: effect of integration of mental health concepts into a post basic nursing degree programme A prospective cross-sectional study involving 66 nursing students. Divided into two groups and followed for two years. Primary data was collected using the OMI scale designed by Cohen and Struening (40). 100% response rate Department of nursing, University of Ibadan, Oyo State, Nigeria. 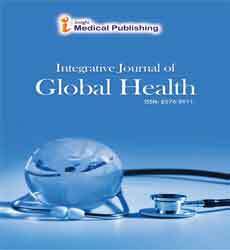 (South-west Nigeria) This study assessed the effect of integrating mental health concepts into a post-basic nursing degree programme. Results showed changes in both groups in terms of their authoritarianism and social restrictiveness thus validated the study that mental health concepts integrated had some effect in reducing the negative view of mental illnesses, and look at it more like any other illness. Not mentioned in article. Ronzoni et al. Stigmatization of mental illness among Nigerian schoolchildren Quantitative, cross-sectional design. 167 student respondents (10-18 years) from rural and urban southwest Nigeria were recruited. Survey question asked “What sort of words or phrases might you use to describe someone who experiences mental health problems?” Response rate was 80.5%. Ibadan, Oyo State, Nigeria. Ukpong and Abasiubong  Stigmatising attitude towards the mentally ill: A survey in a Nigerian university teaching hospital A cross-sectional descriptive study involving convenience sample of 208 hospital participants (38 MDs, 100 medical students, 10 pharmacists, 5 physiotherapists, 12 laboratory techs, 9 medical record officers and 34 administrative staff. The Community Attitude towards Mental Ill (CAMI) scale was used to collect quantitative primary data. Response rate was 100%. University of Uyo Teaching Hospital, Uyo, Akwa-Ibom state, Nigeria (South-eastern Nigeria) The survey results showed strong negative views about the mentally ill, being authoritarian and restrictive in their attitude. 52% of respondents believed witches, while 44% blamed demons, 30% blamed divine punishment, as causes of mental illnesses. This was despite appearing knowledgeable and educated on the role of genetics and psychosocial factors in mental illness causation. Not mentioned in article. Uwakwe  The views of some selected Nigerians about mental disorders Quantitative. Cross-sectional descriptive study. Had 144 respondents (30 medical students, 20 nurses, 20 medical record officers, 10 religious ministers, and 64 others). Primary data was collected using self-administered questionnaires assessing the causes of mental disorders, the role of evil spirits in mental disorders and treatment options Nnamdi Azikiwe University Teaching Hospital, Nnewi, Anambra state, Nigeria. (South-eastern Nigeria) 28.4% expressed evil spirits are causes of mental illnesses and 66% recommended prayer houses for treatment of mental disorders. There was no difference in beliefs and attitude for medical students even after 4-weeks of rotation in mental health clerkship. Not mentioned in article. Yusuf and Baiyewu Beliefs and attitude towards dementia among community leaders in Northern Nigeria Cross-sectional descriptive research. Quantitative. Primary data collected using the Community Screening Interview for Dementia and Blessed Dementia Scale. 100 norther leaders (57 traditional leaders, 43 Islamic clerics) were interviewed. Zaria, Kaduna state, Nigeria (North-central Nigeria) Study demonstrated dementia to be a normal aging process common among respondents (82%). Most of the participants also preferred orthodox treatment for cases of dementia. Mean age of respondents were 57.7+/- 11.1 years. Small sample size. Table 2: Summary of articles included in scoping review (n=25). This stage is aimed to provide a coherent structure from the scoping review results, so the chart, using descriptive numerical summaries and thematic analysis . In this study, the data gathered was subsequently analysed thematically and quantitatively, using QSR International's NVivo 10 qualitative data analysis Software and IBM SPSS Statistics for Macintosh, Version 21.0. Results of analysis and frequency tables are displayed in Tables 2-5. A total of 2079 peer-reviewed articles were retrieved from the overall search; with 2063 collected from the six bibliographical databases selected, and 16 from hand-searching of references and snowball phenomenon. Following deduplication and relevance screening, 111 articles were found to meet the eligibility criteria (based on their titles and/or abstracts). All 111 Full Text Articles (FTAs) were thereafter reviewed for inclusion based on their relevance to the research question. Of the 111 FTAs read, 86 articles failed to meet these eligibility criteria, leaving a total of 25 peer-reviewed articles for inclusion into the final scoping review (Figure 1). Figure 1: Flowchart showing selection of articles for scoping review (n=25). The overall characteristics for the scoping articles are shown in Table 3. The peer-reviewed articles included fourteen (56%) published between the years 2000 and 2010, seven (28%) published before the year 2000, and four (16%) published after the year 2010. Table 3: General attributes of publications included in the scoping review (n=25). Word terminologies used to describe the keywords for the search strategy in this scoping review were consistent across selected articles. Of the 25 articles, 11 (44%) articles used beliefs to describe the knowledge of mental illnesses, six (24%) used the word perception alternatively for knowledge and 8 (32%) used ‘knowledge’ as keyword terminology. Similarly, 17 of the 25 (68%) articles used attitude as keyword terminology describing attitude to mental illness, and 15 (60%) used the key word terminology ‘mental illness’ (Table 3). Only one article however, defined beliefs in the context of mental health. Definition of terms used was rare except where belief was described as an acceptable knowledge and a cognitive information an individual accepts about an object. In other words, a subset of knowledge . The term attitudes were not defined in any selected publication. The methodological characteristics of reviewed articles are summarized in Table 4. Twenty-four (96%) studies used crosssectional research design with one applying a community-based participatory (CBP) approach. With regards to study type, 22 (92%) were quantitative studies and two (8%) mixed studies. All data provided in these studies were primary data (Tables 2 and 4). The largest data set contained information on 2342 respondents from three different communities participating in the study [8,14]. *Refer to Table 2 for key to study titles and authors. Table 4: Methodological characteristics of publications included in the scoping review (n=25). Questionnaires and survey instruments were used as primary source of data collection for all identified articles including the CBP research. Focus group discussion was used in collecting qualitative data from participants in one study which also utilized standardized questionnaires . The methodological strengths and limitations of identified scoping studies are summarized in Table 2. Fourteen (56%) articles acknowledged possible strengths, limitations and bias with their respective studies and research designs. Notable limitations reported were poor sample size (A, B, K, M, Y), social desirability bias (D, E, L, O) and cultural differences which may influences beliefs and choices (H, I, J, O, V,). For example, in a cross-sectional quantitative study set out to determine the attitude of high school teachers to mental illness. The lack of a comparison group was dully recognised as a major limitation to the study as well as poor validity and a possible social desirability bias given that the respondents were educated and well enlightened . Authors of selected scoping studies generally attributed their study strengths to the large sample sizes they got (G, H, I) and an intervention arm of the study (B). The attitudinal change ascribed to an educational program was noted to be significant in a community based intervention . Although not all scoping articles reported limitations in their respective studies, we inferred further researcher limitations from the results and nature of data of these respective studies as, language biases, selection biases, reporting biases and possibly confounding especially with the mixed method studies (D, F). We grouped the findings of the scoping review into two groups; 1) Knowledge of mental illnesses among Nigerians and 2) Attitude towards mental illness among Nigerians. Results for each are summarized in Table 5. Table 5: Overview summary of major primary outcomes in Knowledge and Attitude towards the mentally ill described in publications included in the scoping review (N=25). Knowledge of mental illnesses among Nigerians: Knowledge, perceptions and beliefs of Nigerians about mental health and illness was assessed quantitatively in all of the scoping articles (92% (23/25) assessed purely quantitatively and 2/25(8%) assessed both qualitatively and quantitatively). Standardized structured questionnaires like the Familiarity with mental illness questionnaire (B), the Opinion on Mental Illness (OMI) scale(T,U), the Taylor and Dear Inventory of Community Attitude to Mental Illness(CAMI) (A,W), the modified version of Bogardus Social Distance Scale(B,G), the Discrimination and Stigma Scale (DISC 12) (F) and the Community Screening Interview for Dementia and Blessed Dementia Scale(Y) among other tested survey instruments were used to assess the knowledge of and attitude towards mental illness. c) Psychosocial-poverty, stress, drugs and alcohol abuse, traumatic event, shock, etc. The most common causal attribution to mental illness noted was ascribed to supernatural causes. This was reported as a primary outcome for knowledge of causes of mental illness in 36% (9/25) (A,C,E,H,K,N,Q,R,X). Six articles (24%) recorded psychosocial causes (I,J,K,O,P,W) as a major cause of mental illness while only two articles (8%) reported medical causes (D,Y). Several studies also assessed the knowledge and preference of treatment options for people with mental illness, in addition to knowledge and attitude. Of the 25 articles scoped, six (24%) expressed a preference for unorthodox (traditional) treatment options (C,N,O,Q,R,X) while 20% (5/25) expressed a preference for orthodox (western) treatment options (D,L,P,W,Y). Mental illness was generally viewed in a bad light Nigerians, in articles reviewed. Three scoping articles (12%) reported a bad prognosis of mental illness as one of the primary outcomes assessing the knowledge of prognosis of mental health (H,J,V) (Table 5). a) Social distance and avoidance: This is the degree to which someone is willing to accept or associate with people having different social characteristics-in this case mental illnesses [14,18]. b) Marriage stigma: This included the willingness to marry, to stay in marriage or be given in marriage to someone with mental illness. c) Job entrustment stigma: This included the freedom for a mentally ill person to work among or be employed among healthy or non-mentally ill persons. d) Perceived dangerousness: This is the perception that an individual with a mental illness is extremely dangerous [18,19]. The most prevalent attitude expressed as a primary outcome from all 25 articles scoped was social distance and avoidance (B,C,F,G,H,I,J,K,L,M,Q,S,W). Social distance was expressed in 52% (13/25) of scoping articles. Following that was perceived dangerousness due to fear, anger or mistrust towards mentally ill persons (A,B,F,H,J,L,O,P,T,U,V,W). Perceived dangerousness was expressed in twelve (48%) of scoping articles. Marriage stigma was recorded in 16% (4/25) of scoping articles (C,L,O,S). Job entrustment stigma (C,L), Social acceptance(O,L) and sympathy (O,D) were noted as primary outcomes of attitude towards mental illness in 8% (2/25) of scoping articles respectively. Only one article recorded and indifference to mental illness (L) (Table 5). This scoping review applied a systematic approach to assess the knowledge and attitude toward mental illness by Nigerians. The findings show some cross-cultural variations, however, still similar in outcomes. Evaluating attitude towards mental illness through the knowledge of the causes of mental illness was critical and important for future service organization. Such findings have linked causal attribution and stigmatising attitude to mental illness [8,21,22]. Results from the scoping review showed a poor knowledge and widespread belief that mental illnesses were caused by supernatural forces including sorcery, witchcraft and punishment from God for sins. Culturally, Nigerians regardless of education seem to adhere in varying degrees to a belief in supernatural causation for any illness or outcome . Results from the scoping review even showed that this belief was not limited to the public alone, but also popular among the workers in health care sectors (A,J,K,M,S,T,U,W,X). A belief in supernatural causation project people with mental illness as dangerous and distasteful . Psychological causes such as alcohol, drugs and substance abuse, stress, and trauma were also implicated as common causes of mental illness. Again, this is a common belief among Nigerians who tend to attribute mental illness causation to psychological or social influences. The downside to this view is that it tends to instigate more stigmatization rather than sympathy as the society views the mental illnesses as being self-inflicted or self-deserving [1,4,20,22]. All these objectionable views and beliefs on causes of mental illness by Nigerians, further complicates the preference for type of care. A supernatural view of the cause of mental illness will imply that unorthodox (traditional) means of treatment supersedes the orthodox means. Hence, spiritualists and traditional healers are then patronized. Although results from our scoping review showed that a few studies reported preference for a combination of both treatment options (J,Q,R), it is likely that the element of cultural misconception, which has been shown in the Nigerian society to affect their health seeking behaviour, may still make them choose the traditional means of treatment over the western approach. This behaviour doesn’t only relate in reference to mental illness but in other illness types. The issue is that a lot of Nigerians who have lost hope in the health-care system, will resort to spiritual answers by going to prayer houses, traditional healers and spiritualists. No articles were found comparing the treatment approaches. Findings of such studies potentially will reduce stigma and impact attitudinal beliefs about mental illness. Although studies have claimed that there is less stigmatizing attitude towards mental illness in Nigeria , this scoping study showed otherwise. Several studies have shown that stigmatizing attitude to mental illness is significantly associated with stereotypes and discrimination [1,21]. It was concerning the report that the Nigerians seem to despise people with mental disorders more than their illnesses (D,F,G,H,I). Overall, negative views were expressed in all scoping articles reviewed in this study (A-Y). In some studies, negative attitude expressed were indicative of age, gender, educational or economic status (A,B,C,F,G,H,I,J,K,L,M,Q,S,W). A notable article was a study carried out in Lagos, Nigeria’s most populous state, supposedly laden with the educated and elite (F). Results from this study revealed a widespread negative attitude towards mental illness even after previous studies may have said otherwise . The most common views about the mentally ill reported from the scoping review, was perceived dangerousness (A,B,F,H,J,L,O,P,T,U,V,W) and social distance (B,C,F,G,H,I,J,K,L,M,Q,S,W). Studies have shown that these two negative views stimulate social resentment  and foster social distance [14,15]. Regrettably, there were also no changes in knowledge and attitude views over time, comparing older articles (below the year 2000) and newer articles (abover the year 2000). There were a few research gaps observed from this scoping review. One striking observation was a rarity of studies carried out in the eastern part of Nigeria. Nigeria is a culturally assorted country with dissimilarities in access to mental health services which could affect knowledge and attitude to mental illness . Nevertheless, several studies among other ethnic groups in this scoping review have suggested a widespread poor knowledge of and attitude towards mental illness which have been shown to have a strong validity and reliability (A,B,C,E,J,K,L,M,N,O,P, Q,R,T,U,X,Y). Secondly, the focus on mental illness as a general term rather than on specific mental disorder may have created a bias to respondents in individual studies, who have little or no knowledge about the term mental illness or may possess a narrow view of what the term means. However, the findings of this scoping review support observations from other studies done outside Nigeria even though methodological differences may preclude comparability [25-30]. This corroborates the notion that stigma is a universal phenomenon, but experiences are local . Thus, the need for mental health literacy is a global subject. The impact of education on the knowledge and attitude of Nigerians to mental illness was studied in a few of the scoping reviews (B,I,K,M,P,S,U,W,X,Y) and showed that mental health literacy was significantly associated with positive attitude towards mental illness. It has been said that an increase in literacy and education regarding the mental health and illnesses, will result in an improvement in attitude toward people with mental illness  as mental health illiteracy is a renowned source of stigmatizing attitude towards the mentally ill . A potential direction this finding leads is the need to demonstrate effective interventions so as to curb the attitudinal excesses . The outcome of this scoping review is a validation of a chronic widespread public stigmatization of the mentally ill. This demonstrates the need for mental health literacy in all levels of education. A better understanding of mental illness would significantly improve knowledge and attitude towards mentally ill persons. There is an urgent necessity, to improve the health care system in Nigeria, by developing strategies that would improve mental health literacy, and change stigmatizing attitude at both institutional and community levels. This will in the long run improve the quality of the societal attitude towards mental illness and the socio-economy of the mentally ill.
One practical yet feasible way to improve literacy in mental health, is by instituting age-appropriate school-based educational programmes. Although complexities may arise in creating these educational programs, reason being that stigmatizing attitude and beliefs in supernatural causation have been shown to still exist among educated health workers, however, it’s a good place to start from. Another practical recommendation is to increase psychiatry clerkship rotations for medical students, beyond 4 weeks. This will help familiarize students more with mental health diseases outside their pre-conceived misconceptions. In addition, it is necessary to encourage health workers (nurses, psychologists, psychiatrists and other health care professionals) to show positive attitude towards mentally ill persons as this play an important role in influencing their response to treatment. Missing in the scoping review was the role of the media in propagating attitudinal observation or changes. Future studies to examine how the media can play a role in education or reducing stigma. Abasiubong F, Ekott JU, Bassey EA (2007) A comparative study of attitude to mental illness between journalists and nurses in Uyo, Nigeria. African journal of medicine and medical sciences36:345-351. Akighir A (1982) Traditional and modern psychiatry: a survey of opinions and beliefs amongst people in plateau state, Nigeria. International Journal of Social Psychiatry28:203-209. Odejide AO, Olatawura MO (1979) A survey of community attitudes to the concept and treatment of mental illness in Ibadan, Nigeria. Nigerian medical journal: journal of the Nigeria Medical Association9:343. Kabir M, Iliyasu Z, Abubakar IS, Aliyu MH (2004) Perception and beliefs about mental illness among adults in Karfi village, northern Nigeria. BMC International Health and Human Rights4:3. Ogunlesi AO, Adelekan ML (1988) Nigerian primary health care workers: a pilot survey on attitude to. Psychiatric Bulletin12:441-443. Uwakwe R (2007) The views of some selected Nigerians about mental disorders. The Nigerian postgraduate medical journal14:319-324. Adebowale TO, Ogunlesi AO (1998) Beliefs and knowledge about aetiology of mental illness among Nigerian psychiatric patients and their relatives. African journal of medicine and medical sciences 28:35-41. Adewuya AO, Makanjuola RO (2008) Lay beliefs regarding causes of mental illness in Nigeria: pattern and correlates. Social psychiatry and psychiatric epidemiology 43:336-341. Gove W (1982) Labelling theory's explanation of mental illness: An update of recent evidence. Deviant Behavior 3:307-327. Gough D, Thomas J, Oliver S (2012) Clarifying differences between review designs and methods. Systematic reviews1:28. Arksey H, O'Malley L (2005) Scoping studies: towards a methodological framework. International journal of social research methodology8:19-32. Levac D, Colquhoun H, O'Brien KK (2010) Scoping studies: advancing the methodology. Implementation Science 5:69. Pham MT, Rajic A, Greig JD, Sargeant JM, Papadopoulos A (2014) A scoping review of scoping reviews: advancing the approach and enhancing the consistency. Research synthesis methods5:371-385. Adewuya AO, Makanjuola RO (2008) Social distance towards people with mental illness in southwestern Nigeria. Australian and New Zealand Journal of Psychiatry42:389-395. Adebiyi AO, Fagbola MA, Olakehinde O, Ogunniyi A (2015) Enacted and implied stigma for dementia in a community in south-west Nigeria. Psychogeriatrics. Aghukwa NC (2009) Secondary school teachers' attitude to mental illness in Ogun State, Nigeria: original article. African journal of psychiatry12:59-63. Abayomi O, Adelufosi AO, Olajide A (2013) Changing attitude to mental illness among community mental health volunteers in south-western Nigeria. International Journal of Social Psychiatry59:609-612. Link BG, Cullen FT, Frank J, Wozniak JF (1987) The social rejection of former mental patients: Understanding why labels matter. American journal of Sociology92:1461-500. Steadman HJ (1981) Critically reassessing the accuracy of public perceptions of the dangerousness of the mentally ill. Journal of Health and Social Behavior,pp: 310-36. Ukpong DI, Abasiubong F (2010) Stigmatising attitudes towards the mentally ill: A survey in a Nigerian university teaching hospital. South African Journal of Psychiatry16:56-60. Hayward P, Bright JA (1997) Stigma and mental illness: A review and critique. Journal of Mental Health. 1997 Aug.
Gureje O, Lasebikan VO, Ephraim-Oluwanuga O, Olley BO, Kola L (2005) Community study of knowledge of and attitude to mental illness in Nigeria. The British Journal of Psychiatry186:436-441. Fabrega H (1991) Psychiatric stigma in non-Western societies. Comprehensive psychiatry32:534-551. Ayonrinde O, Gureje O, Lawal R (2004) Psychiatric research in Nigeria: bridging tradition and modernisation. The British Journal of Psychiatry184:536-538. Thara R, Srinivasan TN (2000) How stigmatising is schizophrenia in India?. International Journal of Social Psychiatry 46:135-141. Shibre T, Negash A, Kullgren G (2006) Perception of stigma among family members of individuals with schizophrenia and major affective disorder in rural Ethiopia. Social psychiatry and psychiatric epidemiology. Murthy RS (2002) Stigma is universal but experiences are local. World psychiatry1:28. Ng SL, Martin JL, Romans SE (1995) A community's attitudes towards the mentally ill. The New Zealand medical journal108:505-508. Medianos MG (1999) Changes in public attitude towards mental illness in Athens area. Acta psychiatrica Scandinavica99: 73-78. Thornicroft G, Semrau M, Alem A, Drake RE, Ito H, et al. (2011) Community Mental Health: Putting Policy into Practice Globally: John Wiley and Sons. Abiodun OA (1991) Knowledge and attitude concerning mental health of primary health care workers in Nigeria. The International journal of social psychiatry37:113-120. Adeosun II, Adegbohun AA, Jeje OO, Adewumi TA (2014) Experiences of discrimination by people with schizophrenia in Lagos, Nigeria. J Public Ment Health13:189-196. Adewuya AO, Makanjuola ROA (2005) Social distance towards people with mental illness amongst Nigerian university students. Social Psychiatry and Psychiatric Epidemiology40:865-868. Adewuya AO, Oguntade AA (2007) Doctors' attitude towards people with mental illness in Western Nigeria. Social psychiatry and psychiatric epidemiology42:931-936. Aghukwa CN (2010) Medical students' beliefs and attitudes toward mental illness: Effects of a psychiatric education. Acad Psychiatry34:67-70. Aghukwa NC (2010) Attitudes towards psychiatry of undergraduate medical students at Bayero University, Nigeria. South African Journal of Psychiatry16:147-152. Ogunsemi OO, Odusan O, Olatawura MO (2008) Stigmatising attitude of medical students towards a psychiatry label. Annals of General Psychiatry 7:15. Olade RA (1979) Attitudes towards mental illness: a comparison of post-basic nursing students with science students. Journal of advanced nursing 4:39-46. Olade RA (1983) Attitudes towards mental illness: effect of integration of mental health concepts into a postbasic nursing degree programme. Journal of advanced nursing8:93-97. Cohen J, Struening EL (1962) Opinions about Mental Illness in the personnel of two large mental hospitals. Journal of Abnormal and Social Psychology 64:349-360. Ronzoni P, Dogra N, Omigbodun O, Bella T, Atitola O (2010) Stigmatization of mental illness among Nigerian schoolchildren. International Journal of Social Psychiatry 56:507-514. Yusuf AJ, Baiyewu O (2012) Beliefs and attitudes towards dementia among community leaders in Northern Nigeria. West African Journal of Medicine 31:8-13.